Conservation superstar Jane Goodall talked about her early life and the need to protect other species and our environment and ecosystems at the 2018 #MIGlobal. Jane was introduced by Melissa Stevens, Executive Director of the Center for Strategic Philanthropy. Earth on the Brink: A Sixth Extinction, or a Breakthrough in Biodiversity? The world is just beginning to come to grips with the enormity and urgency of our global mental health crisis. Leading experts discussed local and worldwide causes of mental health disorders, as well as the most effective treatments currently available. The 21st century has seen a surge of philanthropy in Europe, evidenced by a significant rise in individual philanthropists and foundation activity. At the 2018 London Summit, some of the planet's most creative visionaries shared how they are creating fundamental, long-term change by tackling complex issues using best-in-class technologies and sophisticated financial strategies. This panel explores how specific factors - such as childhood traumas, bullying, suicidality, addiction and social isolation - affect mental health over a lifetime in order to uncover the best ways to build, maintain and reinforce mental health resilience from cradle to grave. A new generation of donors is changing philanthropy. Accustomed to solving problems and driving change, they aren't waiting for retirement to begin sharing vast portions of their fortunes to meet worthy goals. This session showcases promising solutions being advanced across a range of sectors and geographies, including mission-related investments, social impact bonds, venture philanthropy, outcome-sensitive metrics, and public-private partnerships. What happens when you mix next-generation energy and ingenuity with philanthropic capital? The answer is you get innovations that bring a business sense—and greater impact—to charitable giving. Solving the world's most intractable problems isn't just about great ideas and great intentions—it requires a bolder way of thinking and doing. The most effective change-makers have learned to use their influence and resources in innovative ways to inspire others to join the crusade. 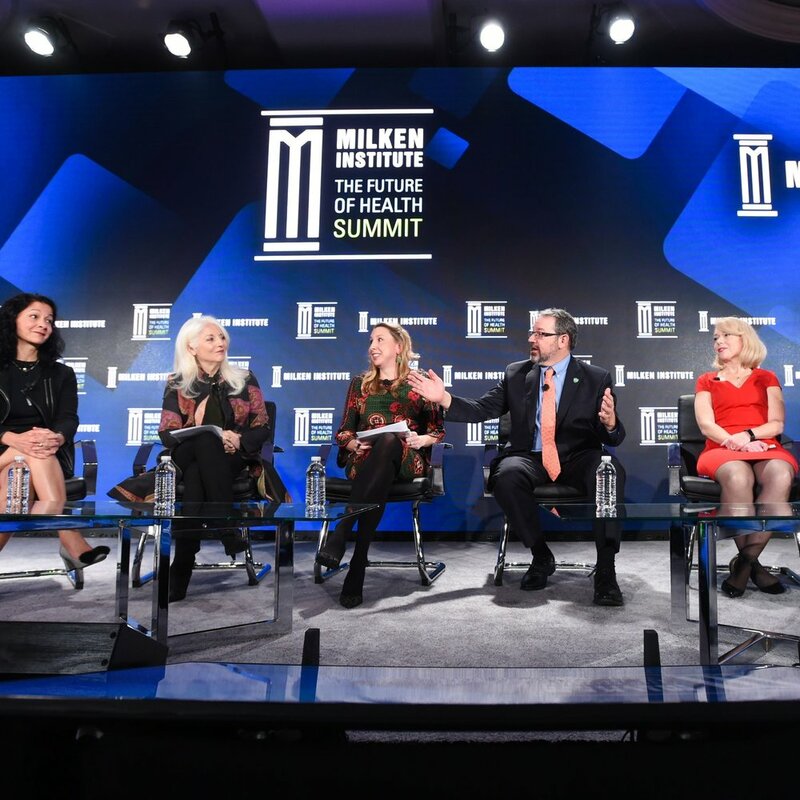 Fidelity Charitable's Pamela Norley and the Center for Strategic Philanthropy’s Melissa Stevens discuss ways millenials, women, and the ‘Amazon model’ are reshaping modern-day giving at the 2018 #MIGlobal Conference. At the 2018 EAT Forum, Melissa Stevens discussed how philanthropy can build healthy and sustainable communities. 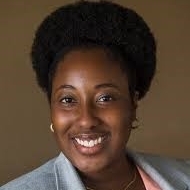 Associate Director Ekemini Riley presents at the American Association of Kidney Patients annual meeting. LIVE from #MIGlobal: Reddit's co-founder Alexis Ohanian and Milken Institute's Melissa Stevens. This genius game changer is saving lives by accelerating medical solutions worldwide. Cara Altimus, Associate Director at CSP, speaks about Pfizer's decision to divest in neurodegenerative disease research. Melissa Stevens sat down with CNBC's Robert Frank to talk about the newest efforts to help individuals build high-impact philanthropy portfolios. LIVE at #MIGlobal: Charity Network's Todd Wagner and Melissa Stevens discuss building meaningful lives. The Milken Institute champions a problem solving approach to giving. As an adviser to medical-research foundations on effective donation, I contend that philanthropic capital has an intrinsic advantage over public funding: it thrives on risk. This encourages the testing of bold ideas, even when there's a high chance they might not work out. In the past few years, the media has showered us with headlines about record-setting biotech financing—outsized venture-capital rounds, unprecedented public market appetite for IPOs, and robust sector returns. But a closer look suggests there is more froth than substance at this frontier of medicine and science.